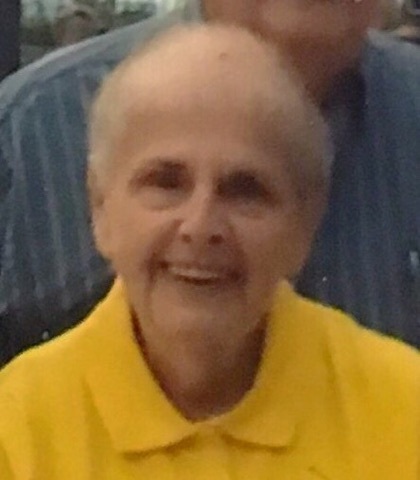 Annette H. (Tribuna) Connolly, age 87, passed away unexpectedly after a short illness on June 5, 2018. A Quincy resident for many years, she formerly resided in Dorchester. Annette was an avid Red Sox fan who went to spring training in FL every year and she held seasons tickets 44 years. She loved playing Bingo, Foxwoods and Las Vegas. "Nettie" as she was affectionately called by her nieces and nephews, kept the greeting card companies in business sending cards for every occasion. Kristin Repha called Annette her "second mother" after her own mother passed away. She never missed attending any milestone, graduation, or birthday for her 33 niece, nephews, and great nieces and great nephews. They all meant the world to her. She was the beloved wife of the late John Francis “Fran” Connolly, the devoted daughter of the late Andrew C. and Edith H. (Benson) Tribuna and loving sister of Thomas A. Tribuna of Wenham, Helene E. Fitzgerald of Quincy, Edith T. McNeil of East Bridgewater, Marie E. Tribuna of Edgewater, FL and the late Martha L. “Penny” Tribuna. Mrs. Connolly is also survived by 6 nieces, 4 nephews and many great nieces and nephews. Visiting hours will be held at the Alfred D. Thomas Funeral Home, 326 Granite Ave., Milton, Thursday, June 7th from 3:30 to 7:30 PM, closing with a Memorial Service at 7:30PM . In lieu of flowers donations may be made in her memory to St. Jude Children’s Research Hospital, 262 Danny Thomas Place, Memphis, TN 38105.